Energy saver, wall mountable or free standing. Each bulb uses 3 super bright white LEDs that last up to 100,000 hours. 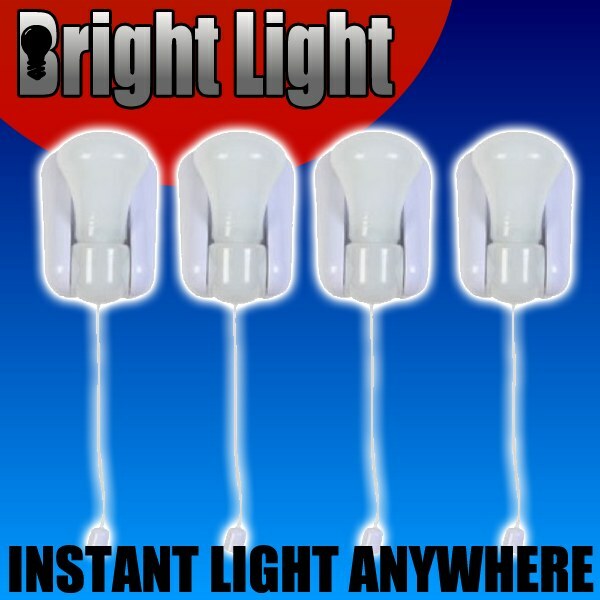 4 Bright Light Portable and Wall Mountable Lamp ! Energy saver, wall mountable or free standing. Each bulb uses 3 super bright white LEDs that last up to 100,000 hours. Great For: Garage, hallway, closets, bedroom, stairways, dorms and more. Place the battery cover back on the unit. These are NOT BRIGHT!!!!!!! Very disappointed!